Discover the magic of essential oils. Certain essential oils, when diffused, can be very stimulating, while others can be calming and soothing. Diffusing essential oils can also cleanse and purify the air in your home, office or studio. This blend of Douglas Fir, Bergamot, & Lemon oils are three of my favorite oils to diffuse creating an atmosphere that's calming yet uplifting, rejunvenating, energizing, and even helpful in promoting a sense of focus. Smelling these beautiful pure oils right from the bottle, taking a drop and rubbing it into the palm of your hands, raising them up to smell them as if smelling a beautiful flower or the forest or the earthy smell of clay, diffusing them into the air to aid you in breathing easier. On your pulse points as a natural pure perfume, rubbing a drop of two of the oils into the soles of the feet, or adding a blend of several different oils (a few drops of each) to fractionated coconut oil to clease, purify or hydrate your skin. Depending on which oils you choose they each have different benefits. These benefits can take the form in supporting your emotional wellbeing all the way to supporting the health of your body on many different levels. WE'D LOVE TO SUPPORT YOUR EDUCATION AROUND THESE AMAZING OILS. 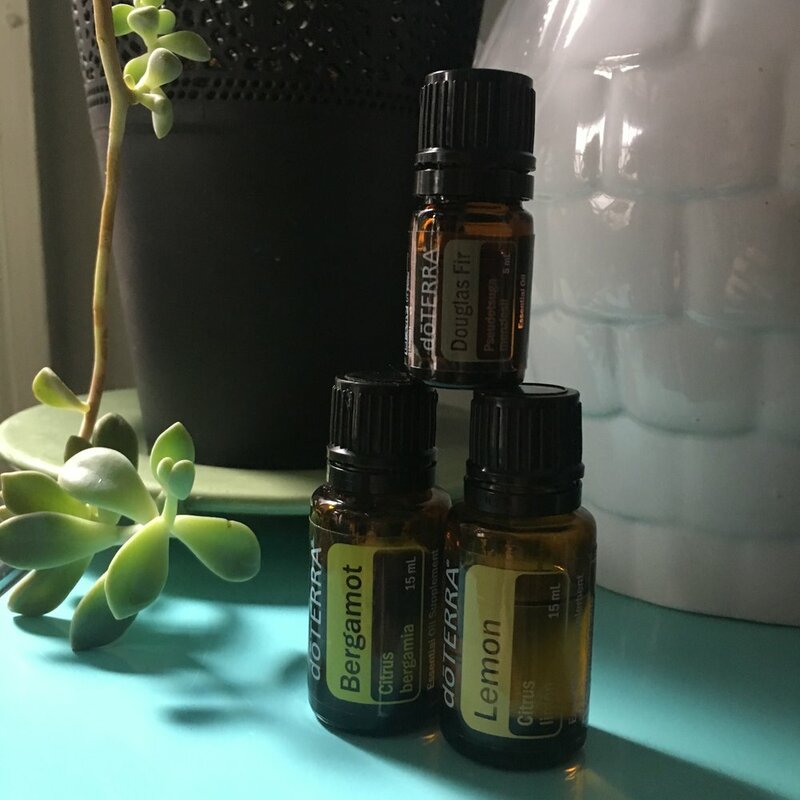 Pure essential oils can be taken internally – a drop of grapefruit, lemon, or wild orange added to a glass of water, or a particular recipe added to a veggie capsule, or even a drop of frankincense under the tongue. All of these pure essential oils benefit the body on a cellular level in many different ways depending on which oils you use and what you are aiming to achieve. We're here to help you raise your level of knowledge and ease in incorporating essential oils into your daily health care rituals. Want to learn more? Or are you ready to order! To browse the oils and read about each of them, go to doterra.com have a look around. If you're looking for guidance and want to talk with me first to discuss your needs and which oils will aid you the most, come by during our open shop hours on Tuesday afternoon from 2–6pm, Saturday mornings from 9am – 11am or just email me at jordan@makebeautifulchange.com to set up a 30 minute call. we'll be hosting several essential oils classes over the summer, to be invited to these special classes. Yes, I'm intrigued. Please add me! Sign up with your email address to receive invitations to our special oils classes at the studio!